When used correctly, social media is a powerful tool to help you identify that perfect role. An active and engaging social media presence is crucial for a variety of reasons. Your activity across social media platforms says so much about who you are and helps you to present yourself in this increasingly competitive market as the ideal, talented addition to an employer. An engaging social media feed across a variety of platforms also highlights your ability to build professional contacts as well as showcase your skills. Recruiters respond favourably to active social media feeds; they gather information based upon the quality, frequency and professional relevance of your posts. Developing your social media skills is therefore vital and we have some strategic tips to help you maximise your opportunities. LinkedIn really is the go-to networking site for recruiters. But merely creating a LinkedIn profile isn’t enough to convince hiring managers to take a closer look at you. Recruiters seek superior content, such as testimonials and recommendations from your colleagues and clients. Rather than simply listing your experience and qualifications, take the time to include background information to provide context. The more time you spend curating engaging content, the better your chances of attracting the job opportunities you want. Recruiters seek talented individuals to network with and to interview. Highlight your skills and experience, stand out from the crowd and use LinkedIn to build an impressive database of industry contacts. The more active you are on LinkedIn, the better it will reflect on you and your suitability for a particular role. Twitter is by far the chattiest of all social media platforms – but don’t let that fool you. It’s a powerful tool for attracting a new job. Twitter is also a helpful resource to discover what people are saying about the company you want to work for. When you are looking for a new job, focus your tweets and retweets on industry-relevant subjects. Use keywords and hashtags to group your content with industry-specific content. Engage with respected industry leaders through following and responding to their tweets. Use your experience to offer helpful advice to other Twitter users in your industry. Recruiters will take note of what you say and who you interact with; make the most of the opportunity and highlight your skills and industry knowledge. Facebook’s reputation as an informal social media platform has caught out many a hopeful candidate. Don’t let this be you. Nowadays Facebook is also teeming with many helpful industry-specific groups and content. In addition to interacting with industry peers, be prepared for recruiters to peruse your profile to see how you engage with the world beyond your work environment. Who you are is your personal brand. If you prefer, create a separate profile to use as your professional Facebook page. It is, however, good practice to keep your content clean. 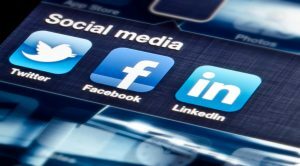 Social media is an effective channel through which to highlight your skills, experience and personality to potential employers, and confirm your suitability for a role. The opportunities available on social media to further your career are endless. Happy posting!